Steve Rice (Olympia, United States) on 2 January 2019 in Landscape & Rural. 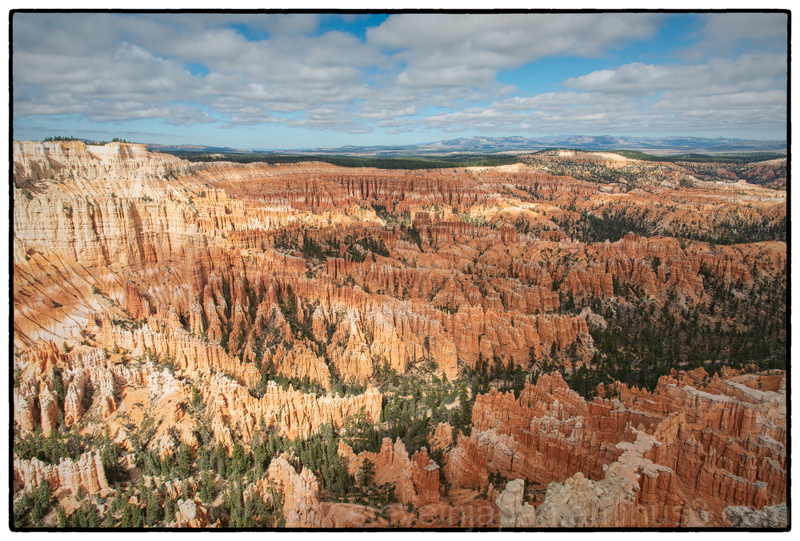 There's a fine collection of hoodoos at Bryce Point. Beyond that, you can see the Silent City, at Inspiration Point, and Boat Mesa a bit further back. Just wonderful colors and clarity, Steve! This is a beautiful composition. Cheers!! This view is really fantastic! Wow, really amazing view !! Wonderful landscape. So magnificent and beautiful. a terrific view here ! Great image ! An incredible landscape and image. The light, detail and scope of this vista is truly remarkable. Gorgeous view with incredible formations!! The clarity is amazing! ou la beauté de la nature.. These scenes look other worldly. It's hard to believe they are even real. It must be amazing to see them in person. I love how the beautiful landscape extends to the horizon. The clouds are gorgeous. It almost looks like soldiers standing at attention. The colors are stunning.